Our service department is ready to take your call 24/7 and handle your emergency shutdowns, answer questions, and make sure your equipment is maintained on a regular basis. Our goal is to prevent and predict downtime, and resolve any issue as fast as possible. 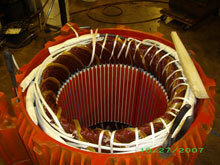 Electric motor repair and service is where it all began for KG Power Systems back in the 1940s. Our goal has always been to help our customers, whether it’s in the field or in our shop. We strive to get your motors checked and estimates generated within the same day. We repair all types and brands of electric motors, gear motors, variable frequency drives…..
KG Power Systems understands how important a reliable HVAC System is to a Property Manager and this is why we have invested in a large field service team to respond to your emergency 24/7. For over 60 years KG Power Systems has been helping New York repair their Industrial Blowers and Vacuum Pumps. Our In-Shop and Field Service team is ready to help 24/7. 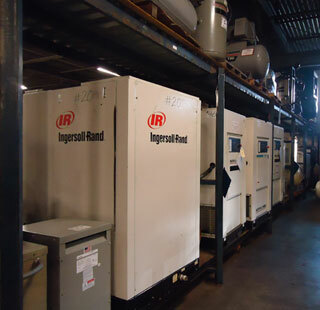 Whether its a Regenerative Blower or a Multistage Vacuum Pump we have the necessary knowledge and inventory of replacement parts to get you back in working order. 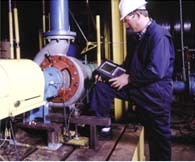 KG Power Systems specializes in helping facility and property managers lower energy costs while boosting reliability. 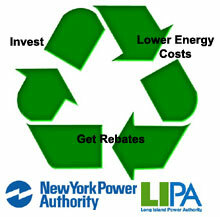 We provide free consultation and have experience working with NYPA and LIPA’s Rebate Programs. Did you Know? 68% of equipment cost is energy consumption! 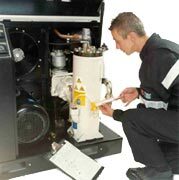 When it comes to portables, KG Power Systems puts emphasis on fast turn around and knowledgeable Preventative Maintenance techniques. A well maintained Portable Air Compressor will save money and frustration. We have a large inventory of repair parts. K&G Power Systems has been helping the New York Metro Area recover from Super Storm Sandy. 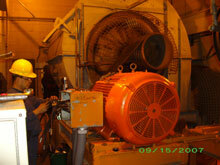 We can help you repair your flood damaged Electric Motors, Pumps, Air Compressors, VFD's, Coontrols and Generators. K&G Power Systems stands ready to help Long Island and New York City with their Emergency Generator needs. 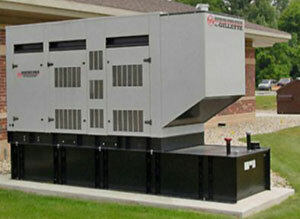 K&G is New York’s Authorized Distributor for Gillette Generators and Generac Generators. We understand the importance of reliable back-up power and this is why we have invested in a large Generator Service Team to help our NY Customers get back to business ASAP. KG Power Systems is one of the largest suppliers and servicers of Variable Speed Drives in the New York Metro Area. We have taken pride in becoming New York’s Premier VFD Service Center, offering 24/7 Emergency Service and Troubleshooting. KG Power Systems has experience installing all products and services provided. Including: compressed air systems, piping, disconnect wiring, control programing, rigging, laser alignment, welding, and field balancing. With over 60 years of being in business, we have accumulated a vast knowledge and experience in the art of installation. We never hesitate in assisting our customers and often times recommend that they stay involved in the installation. You will find schematics, rules of thumb, what to look for, FAQ's, and installations do's and dont's.